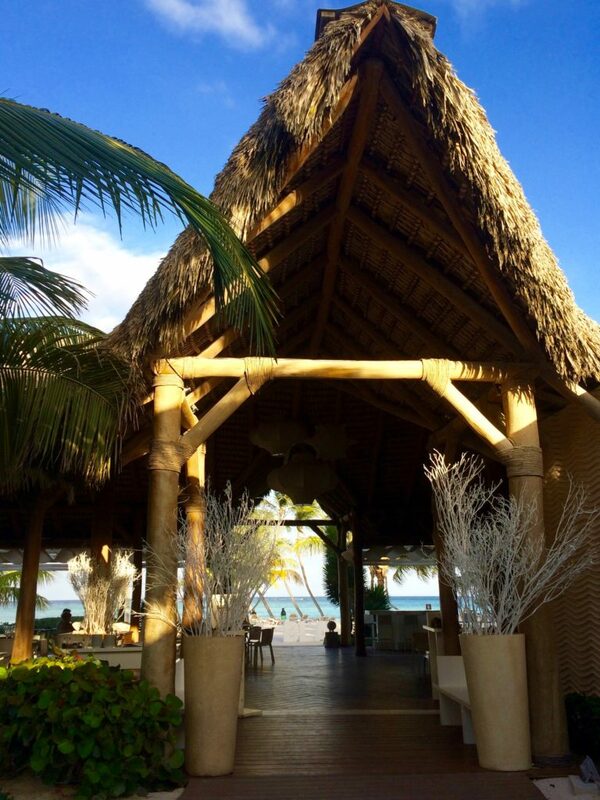 What if there is more to Punta Cana than All-In resorts? I needed to find out. Every time I drive east toward Punta Cana on Hwy 3, which skirts along the coastline of the Caribbean Sea, I feel excitement growing in me. I love to hear the waves crashing at night when the world is still. 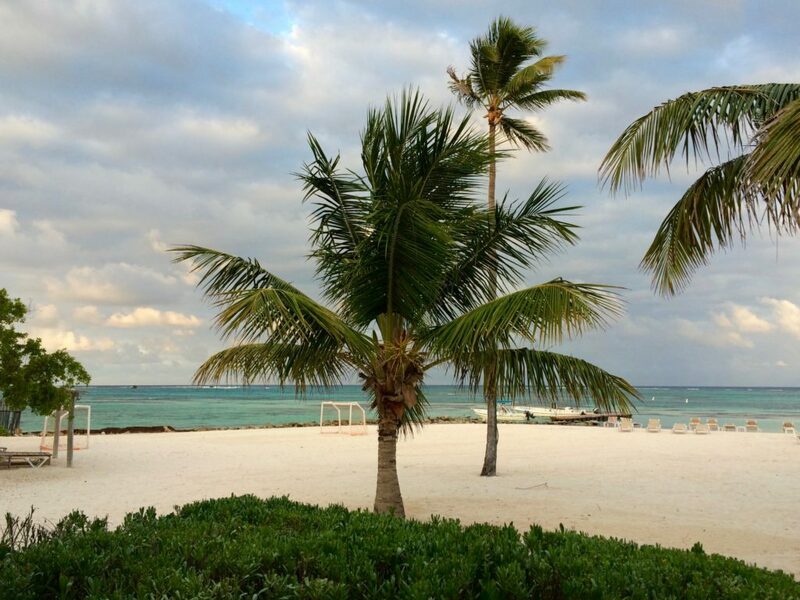 On earlier visits we’ve stayed in gated communities guarding elegant 5-star hotels rimmed by white sand beaches and palm trees, where there is no end to gorgeous buffets available day and night. It’s like a hypnotic to me. I caught myself making buffet runs just to see what was new that hour. After a few days of this I felt like a fictitious me in an imaginary environment. I needed something a little bit more gritty and very real. 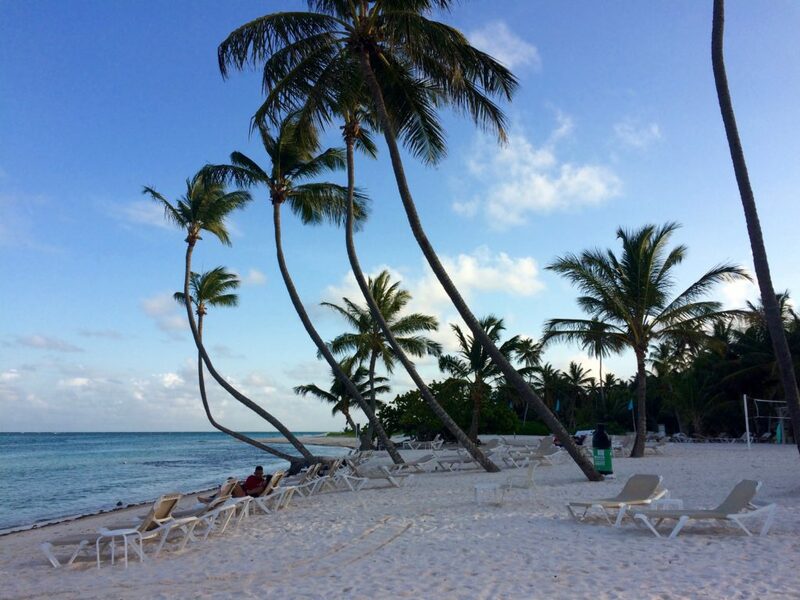 What would Punta Cana feel like, I wondered, if we stayed in a 3-star B&B with only public beach access? Well, now I know. We just came back from a Mothers Day weekend in Punta Cana where we did exactly that. 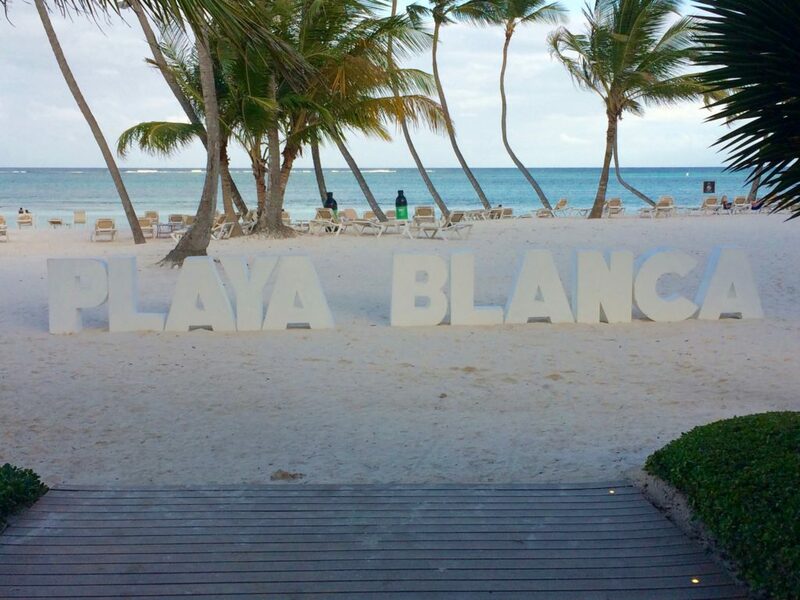 Playa Blanca is a lovely little public beach sandwiched between the private beaches owned by Club Med Punta Cana and The Westin Punta Cana Resort & Club. 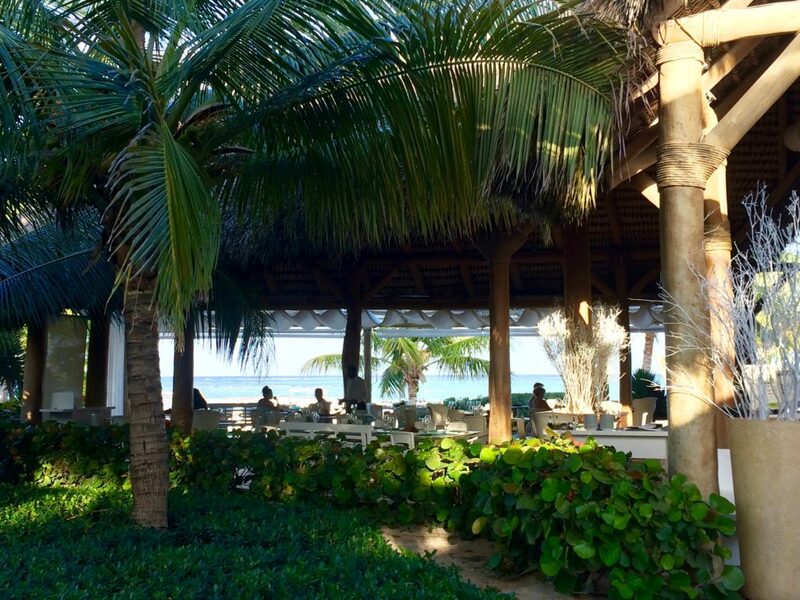 To gain access, you have to enter through the open air Playa Blanca Restaurant (with a parking lot in front). The beach has fine, white sand like the rest of the coast and there’s a rather private feel to it. After exploring outdoors, we ordered salads in the restaurant. Very disappointing. We arrived at Playa Blanca a little later than planned because we’d forgotten several necessary beach items and had to stop at Palma Real shopping mall for replacements. There we discovered an important fact. 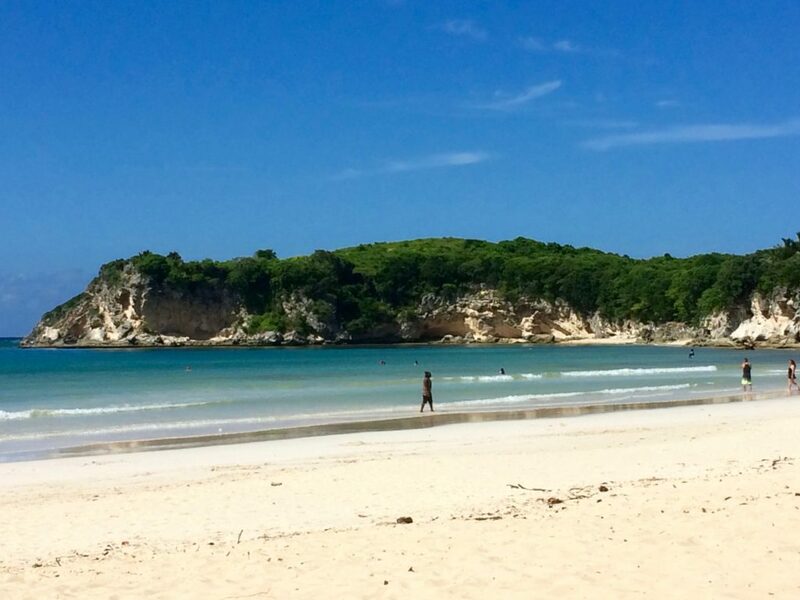 Everything in the little coastal town of Bavaro is priced in US dollars–the grocery stores, the clothing stores, the gift shops, the restaurants, the hotels–all use US currency. You have to ask to get the price in Dominican pesos. I assume that the majority clientage of the 5-star resorts drives the economy; however, since we are currently living in Santo Domingo, Dominican pesos was the only currency we had access to. We decided to walk away from a store selling Crocs sandals at three times their price on Amazon. 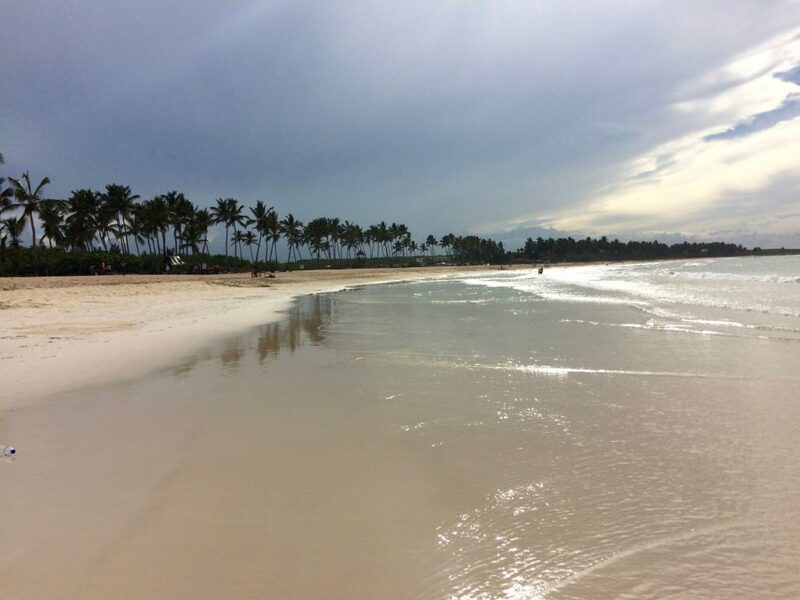 The next day we discovered the jewel of the Punta Cana coast, the magnificent Playa El Macao. 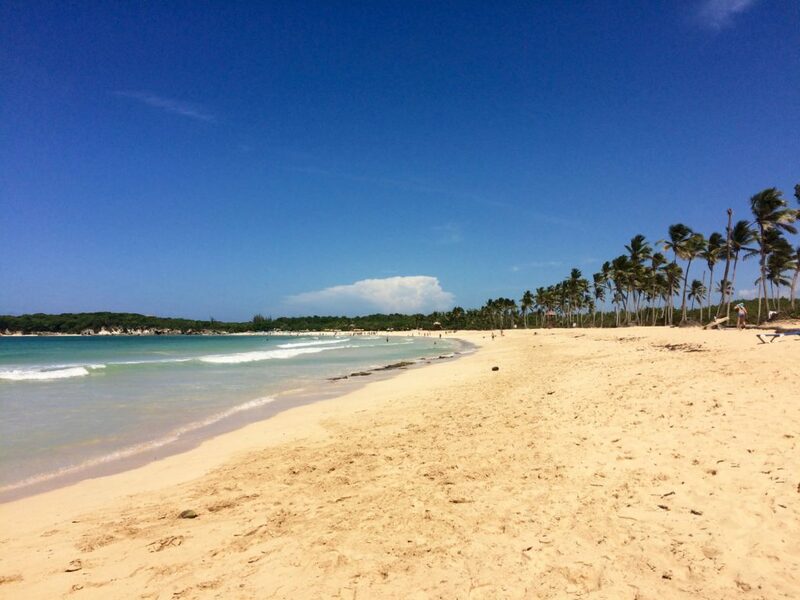 This web site states, “Declared by UNESCO as one of the best in the Caribbean for its fine sand and abundant palm trees, this stunning beach is virtual eye candy!” A search on the UNESCO site, however, reveals that only the Colonial City of Santo Domingo is listed as a World Heritage site in the Dominican Republic. The beach is completely undeveloped, which means it is open to the public with no hotels and no restaurants to section it off. Just a shack or two for organising various water sports and a bunch of yellow umbrellas blooming over beach chairs for rent. The beach is a sweeping 3.2 miles long, and exceptionally deep from tree line to water line where it slopes very gradually out to sea. It’s easy to find. Drive north on Hwy 3 until you see signs for the little farming village of Macao. Turn east and drive until the road crests above a stunning view of the ocean. You’re there — heaven. Our search for simplicity in Punta Cana took us to a 3-star B&B rather than a luxury resort, plus a family friendly cultural park near Bavaro, Manati Park. There’s something to the old saying, “you get what you pay for.” But I’d add that you have to look carefully to be sure you know what it is you got. I’d say we got simplicity. Lovely, calm simplicity. I’ve done the Swiss Family Robinson and the All-Inclusive. A-I is pretty swell.